We will introduce the hot sale DONGFENG single cab scissor hydraulic lift with truck. 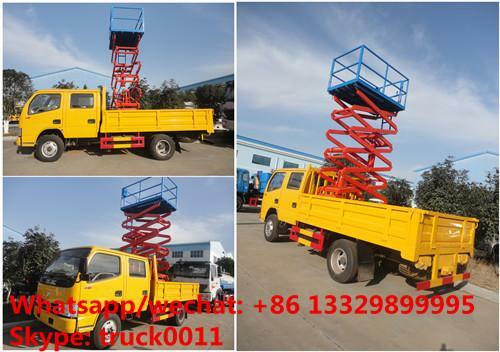 The scissor hydraulic aerial working platform truck is also called truck mounted hydraulic high altitude operation truck, the working height of 10m-12m, mainly used for refitting inspecting lamps, cameras, trimming, etc. high operation works. 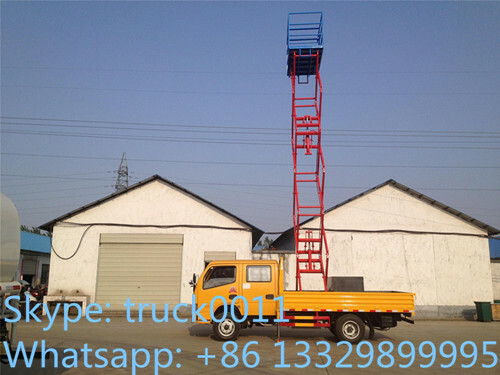 CLW brand scissor hydraulic aerial working platform truck is also called truck mounted hydraulic high altitude operation truck, the working height of 8m-10m, mainly used for refitting inspecting lamps, cameras, trimming, etc. More picutres of hot sale dongfeng brand single cab cha0chai 95hp diesel hydraulic high altitude operation truck as below. 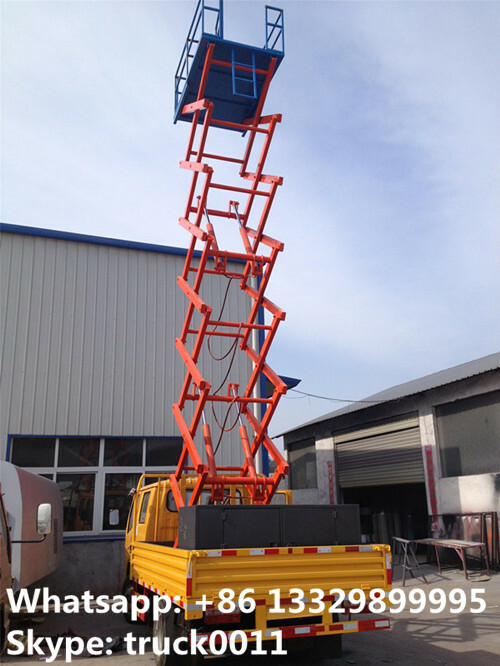 Chengli SPecial Automobile Co., Ltd is the leading mnaufacturer and supplier of aerial working platform truck in China. With many years'development, we Chengli Special Automobile Co., Ltd. could offer 11m-24m aerial working truck, such as dongfeng brand, ISUZU brand, FAW Brand, FORLAND brand, FOTON BRAND, JAC brand, JMC brand, HOWO brand ,etc. More information, please feel free to contact with Ms. Anita.